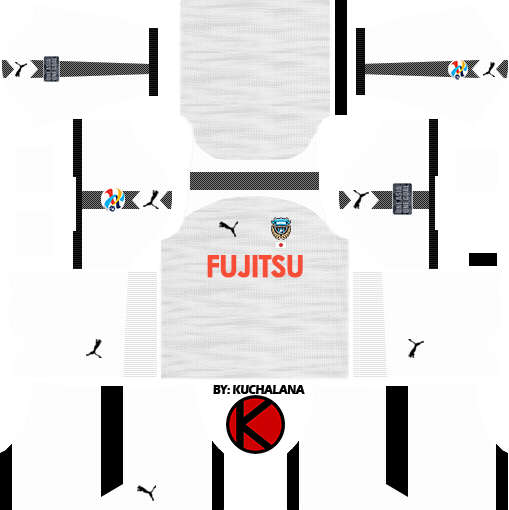 Get the Kawasaki Frontale (川崎フロンターレ, Kawasaki Furontāre) Puma kits seasons 2017 for your dream team in Dream League Soccer 2017 and FTS15. On January 21, Kawasaki Frontale announces new uniforms and uniform sponsors of 2017 season. 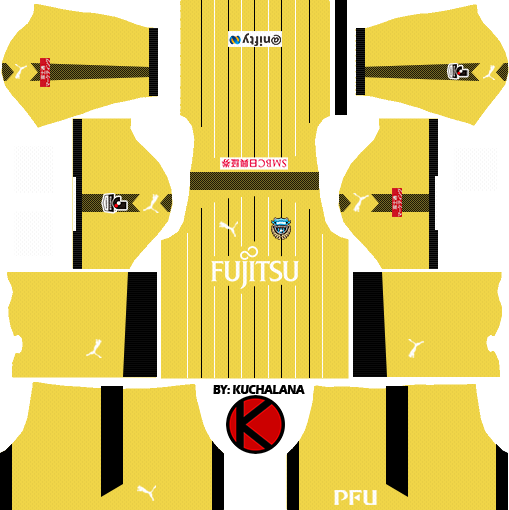 Supplier is same as the previous model "Puma". The concept is same as the slogan of this season "Paint it Blue". The new uniform uses a similar template such as the Jubilo 2017 model. The home is equipped with white and black pin stripes in light blue tones. Puma foam stripe is placed in the sleeve from shoulder shoulder with black dot. 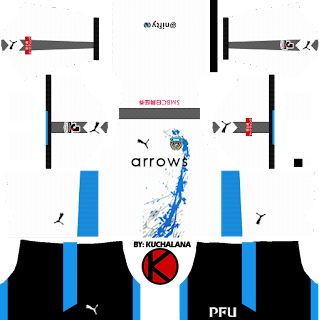 The pants and socks adopt a light blue color and it is the first frontal blue to be the first club and the whole body is unified design and two patterns of black keynote. Away is a light-gray paint graphic with light blue. The topography of each section of Kawasaki city and the club mascot "Cabrera" are also drawn. Three colors of yellow, green and red were announced as the goalkeeper model. 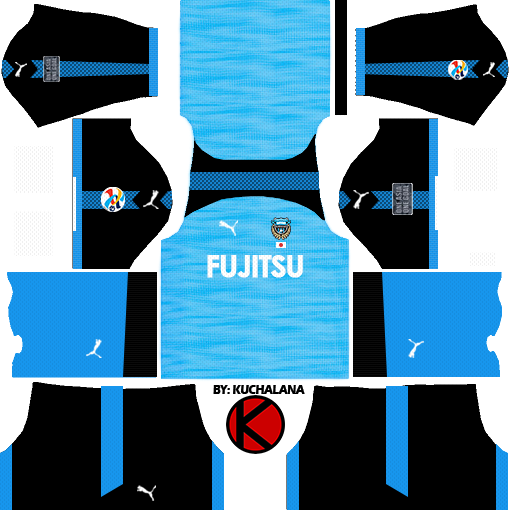 The ACL model prints the graphic that motifs the flow of the Tamagawa River in a light blue color scheme with dots. 0 Komen untuk "Kawasaki Frontale 川崎フロンターレ kits 2017 - Dream League Soccer"